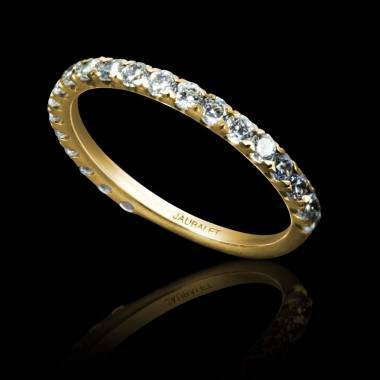 Why choose a Wedding Band in Yellow Gold? In Antiquity, the Bride and Groom would wear yellow, the colour of the sun and of happiness. 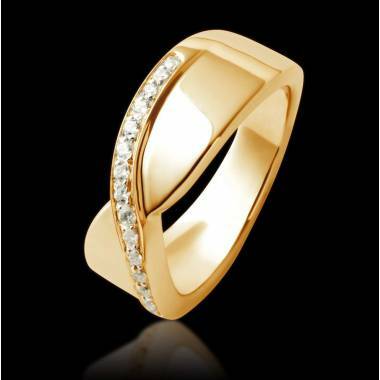 Gold was exclusively known for being yellow in its most natural state, and probably the most precious metal. 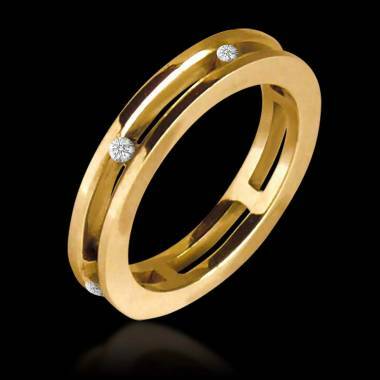 It used to go without saying that a Yellow Gold Wedding Band would be used for marriage. 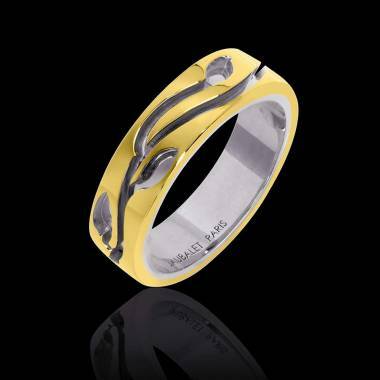 The traditions persist even hundreds of years later, the yellow metal continues to seduce a lot of couples and remains to be the colour of reference for wedding bands. 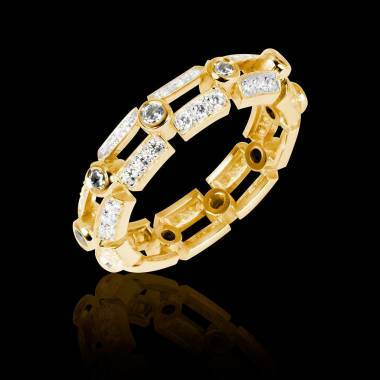 Classic, Traditional, and warm, Yellow Gold is the symbol of power, wealth, and eternity. It is brilliant, and does not change colour with time. it also goes perfectly with diamonds. 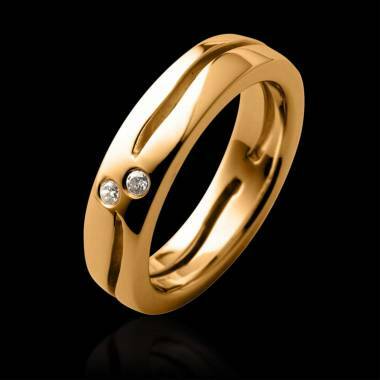 A Yellow Gold Wedding band with or Without Paving? 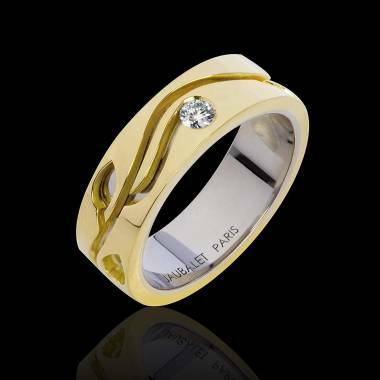 Wedding Bands are becoming more and more original. 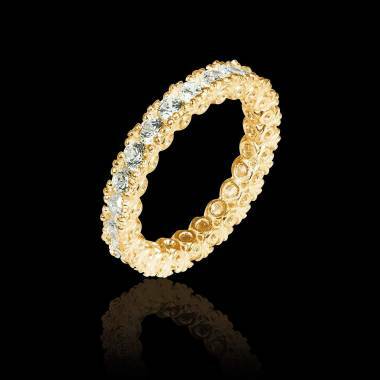 Yellow Gold goes very well with diamonds, classic and no risk, a yellow gold wedding band paved with diamonds will always be magnificent and timeless. 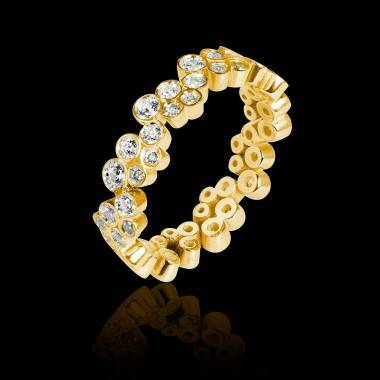 Yellow Gold shows off diamonds and vice-versa. 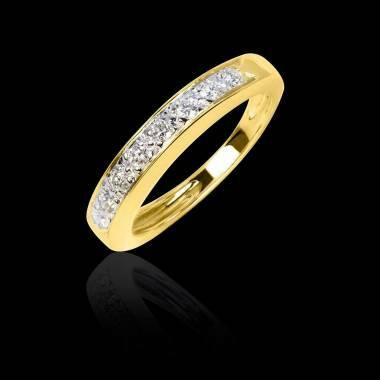 A yellow gold wedding band paved with diamonds will also enhance the Diamond Engagement Ring. Although other precious stones are also possible. 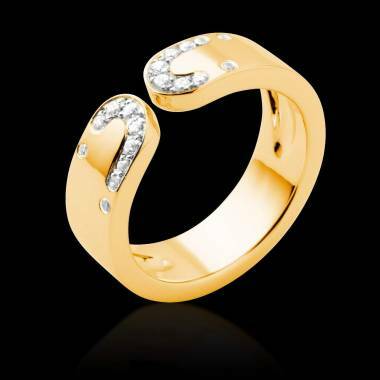 Try different compositions on our site, you will be surprised, but keep in mind the coherence with the Engagement Ring. 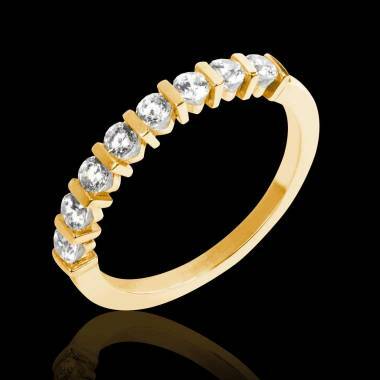 A Yellow Gold Wedding Band with or without stones ? 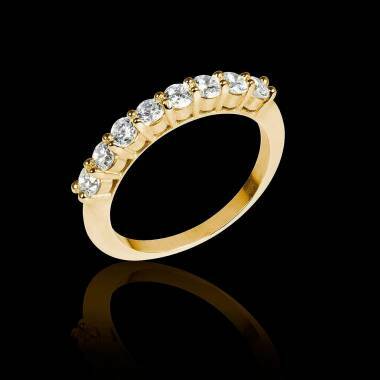 You wish to have an original and personalised yellow gold wedding band, and you are hesitating between a wedding band with paved with precious stones. 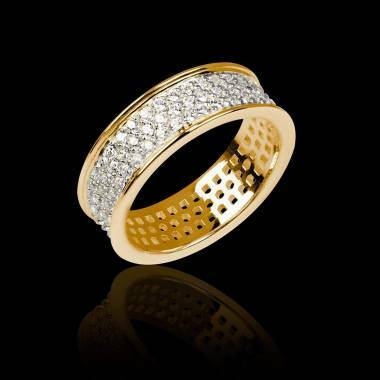 You may also add a touch of originality to your wedding band and incrust it with many precious stones. 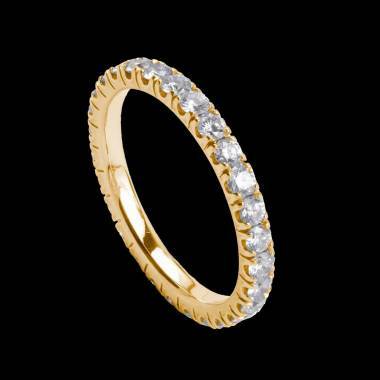 The diamond stays the mineral the most used to enhance a yellow gold wedding bands for women. 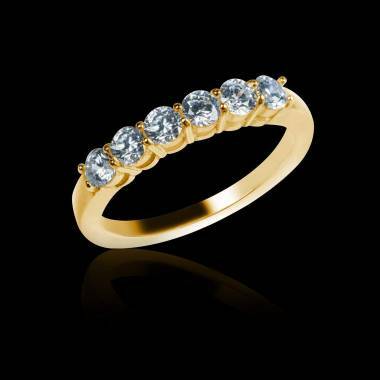 But, even today, other stones that go with an engagement ring, can give the same effect. Jaubalet has opted for models that express brilliance and an aesthetic of metal and of mineral. Nothing can be allowed to be suffocated by the colour of the other. 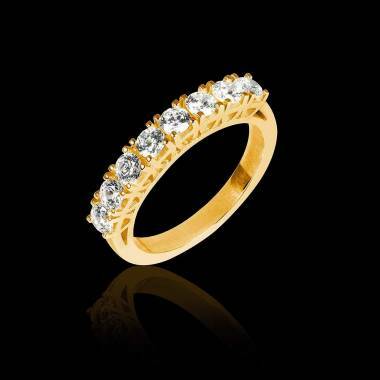 You may be inspired by your yellow gold wedding bands for women.